The JobPro Central calendar behaves similarly to the calendars in Microsoft Outlook, Entourage and Apple Calendar but allows greater separation of types of calendar entries and works by default in a multi-user environment. 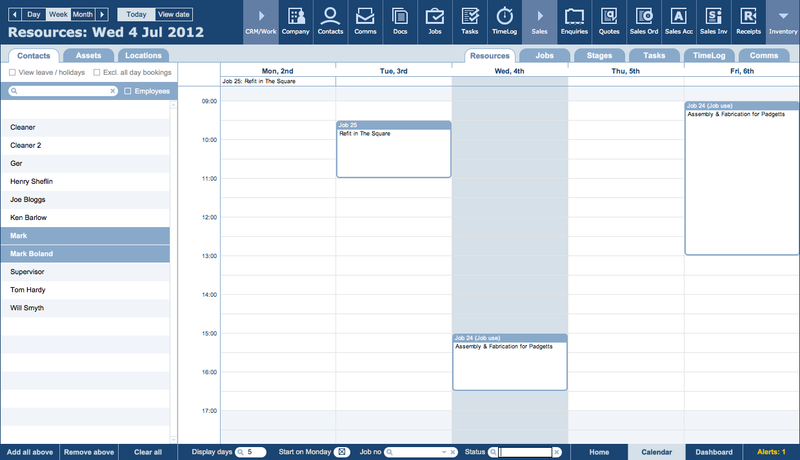 Integrated navigation to calendar entries. 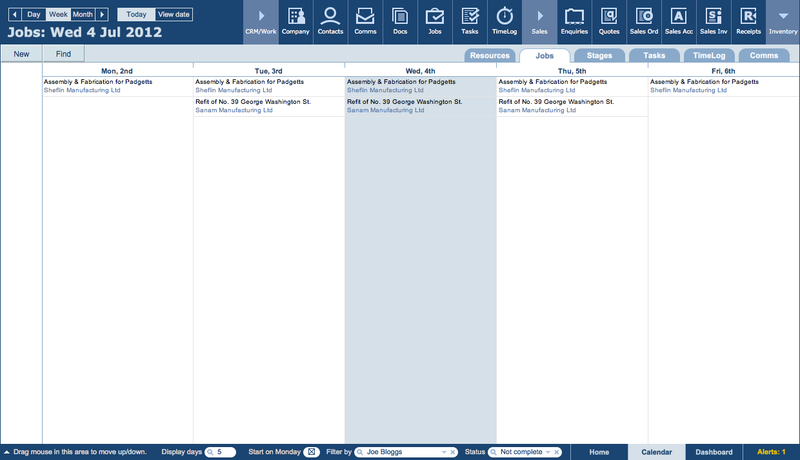 Filtering calendar entries by job number, employee (or ability to view entires for all employees at once) and status. Ability to track internal assets / resources / employees to see what job/project they are currently on or are scheduled to be on in the future. This allows for resource / capacity planning. View annual leave by employee. View what jobs/projects are currently active and what stages and tasks are currently active or due. View timelog entries in calendar to ensure all timelogs are present and covering requirements. Create any of the six types of calendar entry from within the calendar itself. Manipulation of calendar task entries using drag and drop on the day and week views. 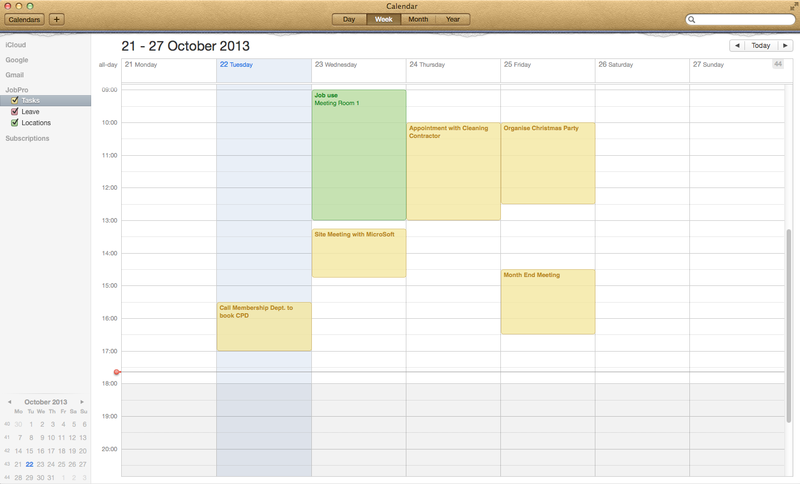 Synchronisation of tasks and contacts between JobPro Central and your Apple Calendar. Additional costs involved and setup that we perform for you. As an optional addition to your JobPro Central system we offer a server side extension to your FileMaker Server install that will sync your JobPro calendar to your Apple Calendar application. This enables you to update your calendar tasks and events from your iPad, iPhone, Apple’s Calendar and of course your JobPro database. Any changes are instantly replicated across all instances of your calendar. – The Apple Calendar integration with JobPro allows users to see tasks that have been allocated to them in JobPro on their iPhone or iPad in the Calendar App. The calendar can be used in a browser as well as read only through a published link. It is obviously also available on Macs. – Task details from JobPro will appear as notes in their calendar entry. The user can drag the entry to a new date and time and this will be reflected back in JobPro. – New entries in the Calendar App can create tasks in JobPro allocated to the user. 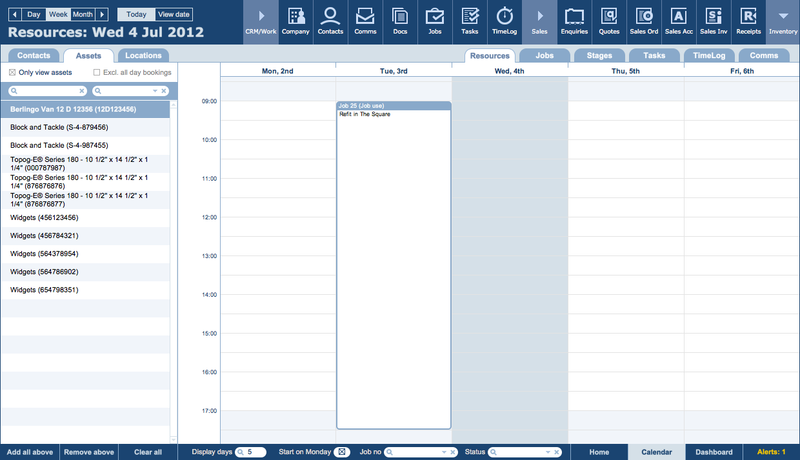 – Users can also view their own leave/holidays, scheduled and taken, in the Calendar App. – The Locations calendar can be used for scheduling meeting rooms, or other bookable locations, so that double booking is avoided. – For pricing please see the Pricing page.